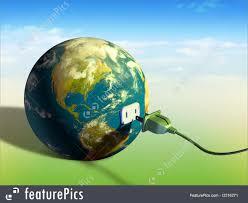 In this article we will know about the earth energy and their application. Earth is in state of thermal equilibrium. Energy received from the sun is lost at night. The small amount of energy generate by the decay of unstable isotopes of Uranium, Thorium etc. is dissipated form’s earth interior to oceans and atmosphere. (1) The thermal properties of earth’s interior their radical and lateral variation. (2) Movements of fluid or solid rock materials occurring at rates of more than a few millimeters per year. Thermal gradient will be night if either heat flux is high or thermal conductivity is low. The heat energy in earth’s interior is due to radioactivity. Regions of higher radioactivity have higher heat flux and are potential geothermal sites. Surface of the earth consist of about one dozen tectonic plates e.g. American plate, African plate, Arabian plate, Indian plate, Philippine plate, pacific plate etc. Each of these plates has thickness around 100 km and thousand of kilo meters of area. Earth’s interior is unable to lose heat, by conduction, as rapidly as it is generated by radioactivity. This lead to convective instabilities which mean that these plates are continuously in motion with respect to each other. A variety of processes along the margins of the plates lead to partial melting at depths between 15 to 200 km. the molten masses penetrate the surrounding rock and rise towards earth at rates varying from a few cms per day to a few cms per year thus result in volcanic activity. The molten masses which do not reach earth’s surface come to rest in the middle or upper part of the earth’s crust at depth less than 20 km. These liquid magmas may have temperature around 1000 C. The crystallization of these liquid magmas produces intrusive igneous bodies. The cooling and crystallization of igneous bodies gives rise to local heat flux. 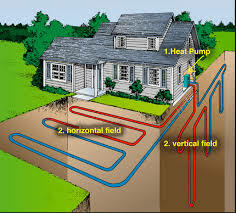 This heat flux constitutes the geothermal energy which may be used for variety of purpose including electricity generation. These local heat fluxes continue for thousands of years and form an inexhaustible source of energy. The majority of active geothermal areas tend to concentrate around the margins of major lithosphere plates. Kilometer or so an impermeable crystalline magma above the magma is the impermeable crystalline rocks which are overlain by localized pockets of permeable rocks. One such localized pocket is show in this figure. The localized pockets are bounded by fracture zones or fault alone which some relative motion of rock has occurred. Water circulated long fault lines. As it goes down and moves in the earth’s interior (path ABCDE) it is heated by the permeable layer which is in turn heated by conduction of heat from the magma. The hot water comes out through another fault and forms a hot spring. Depending on the temperature and depth of the permeable rocks, the natural hydro thermal system can be divided into three categories. (1) Dry Steam System. The temperature of the permeable rock is very high. The whole of the water is converted into steam which gets superheated by the time it comes out of the surface. The Larderello (Italy) and Geysers (California) fields are dry steam systems. (2) We Steam system. The temperature of permeable rock is not very high. By the time water comes out, only a part of it gets converted to steam. Therefore eruption gives water steam mixture. (3) Hot Water System. The temperature of the permeable rock is rather low. The surface eruption provides hot water. For proper exploitation of geothermal energy for electricity generation, extensive survey by geological and geophysical methods is necessary. When the area have been located after hese surveys, it is necessary to drill a number of holes at carefully selected sites. The cost of drilling the wells increases with the depth. The wells at Geysers field (California) are 2km deep, 51 cm diameters at top 22cm diameter at bottom. The dry Steam of the high temperature dry steam system can be directly taken to the steam turbine and used for generating electricity. The wet steam fields in the world have been estimated to be about twenty times more abundant than the dry steam fields. The wet systems yield about 20 per cent (by weight) and the remaining quantity of hot water. It is necessary to separate the steam and water at the surface before the steam can be used to drive the turbine. Generally, in such system, the steam is used for electricity generation and the hot water for other miscellaneous purpose. In New Zealand the hot water of a wet steam field is being used for industrial processes by a paper mill. In Iceland such water is used for industrial purposes and house hold heating. Similar is the case in Japan, USSR and Hungary. In Chile a project is being developed for using the steam, from a wet steam geothermal field for electricity generation and distillation of the hot water to yield fresh water and valuable minerals. Hence these are Earth energy application if you will find any incorrect in above article you must comment below in comment box. If you want to know more about the Earth Energy and application you must watch this video.